The GPS sensor on your smartphone is essential for the use of navigational apps and services, such as Google Maps. However, sometimes your GPS signal can go wonky, getting you lost in a new city or interrupting your Pokemon Go gym battle. You don't have to worry, however, since there are ways to fix and improve location accuracy. We'll show you how! It's helpful to understand how GPS works in order to optimize it. GPS stands for Global Positioning System and was developed by the US Army in 1973, but it was released for civilian purposes in the eighties. It was initially used with 24 satellites but now there are 31 operational GPS satellites in orbit. To get the best possible signal, you have to be prepared to use a bit more battery than normal. It's a necessary sacrifice, and you can always reverse it later when you don't need to use GPS anymore. Enabling this is easy; just follow a couple of steps and you'll be on your way. Go into your Settings and tap Location and ensure that your location services are on. You should also be able to enable it from the quick toggles when pulling down the notification bar. The first category under Location should be Mode. Tap it and make sure it's set to High accuracy. This uses your GPS as well as Wi-Fi and mobile networks to estimate your location. Of course, this setting will use more battery but will utilize all available methods to give you the most accurate location possible. On some smartphones you will also find additional options under Scanning in the location settings page. You can enable Wi-Fi scanning and/or Bluetooth scanning. The first will improve accuracy even further by allowing apps and services to detect Wi-Fi networks at any time. The same applies for Bluetooth scanning, which will detect Bluetooth devices nearby. If you suspect your GPS signal is not up to snuff, you can force it to recalibrate. To do this you will need a compass app. Some phones come with one already pre-installed. If yours does, fire it up and go through the process of recalibration to give your GPS signal a much-needed refresh. If your Android device does not come with a compass app, you can download one from the Play Store and do it this way. Compass Galaxy is a good and reliable option. One of the main problems that we encountered when going from one app to another is that the GPS is turned off to save battery. If for example you are playing Pokémon Go and want to take a look at your latest messages, your GPS could be turned off. However, you can keep the GPS signal active. To do this you need to install a GPS app. We recommend Connected GPS. It's a simple app and does the trick. Bear in mind that doing this could result in reduced battery life. With GPS Essentials, you can diagnose whether a poor GPS signal is due to a hardware or software issue. In the GPS Essentials main menu, tap Satellites, then watch (with some amazement) your phone connecting to satellites around the earth. If no satellites appear, then this could be due to interference from metallic objects around you, your smartphone case, or your GPS hardware not working properly. If satellites do appear, but your GPS is still out of whack, then this is a software issue, and you should refer to the other tips in this article to help you. Sometimes your device will get 'stuck' on certain GPS satellites, even if they’re not within range, causing it not to work properly. To fix this, you can use an app like GPS Status & Toolbox to clear your GPS data and to start connecting to satellites from scratch. In the app, tap anywhere on the screen, then tap the menu icon and hit Manage A-GPS state. Tap Reset, then when that's finished go back into the Manage A-GPS state menu and tap Download. Your GPS data should now be refreshed. If it starts playing up again just repeat this process. If your smartphone GPS is no longer sufficient it might be worthwhile for you to purchase an external receiver. It can be paired to the smartphone via Bluetooth. On Amazon, the Garmin GLO GPS receiver costs around $100. Click the link below to check it out. 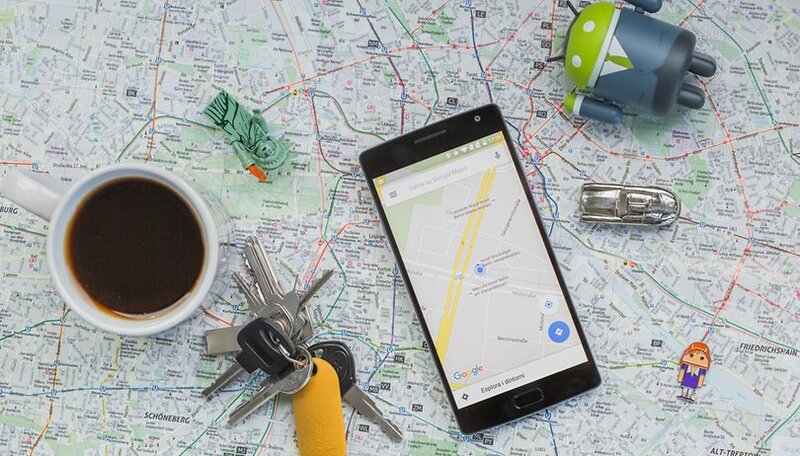 The apps that most often utilize your GPS besides Google Maps are AR-location based games like Pokemon GO and Ingress. However, the dreaded 'GPS signal not found' error is quite common. How can you fix it? First, make sure your location is enabled and then turn on high accuracy, as described in the steps above. You should now be able to go on the hunt for more Pikachus. If the error does not disappear, however, you will need to restart the app. If it still persists, log out of your account, close the application from the recent apps menu, wait a couple of seconds and re-open it. Once you log back in, the problem should be gone. Restarting your phone is always something you should try as well. Finally, you should also make sure you have the latest version of Pokemon GO or Ingress by checking the apps on the Play Store. Do you have any other tweaks to help improve your GPS accuracy? If so, share them in the comments. Nobody mentioned that you need to make sure the option to use wifi for higher GPS accuracy should be enabled. That helped me a lot. Question: Does wifi need to be enabled for this option to work? It might seem obvious but perhaps not. I've noticed that when my wifi cannot find a saved access point my phone calls (through google voice) often fail. So I need to turn wifi off when out and about. Would I get the highest accuracy possible when wifi is disabled? I'm wondering where the 1995 date for "released for civilian purposes" came from as Popular Mechanics states 1983 for the system being opened to the public. I only questioned this and looked for another source because I recall someone in my family having bought a commercial handheld Magellan GPS receiver back in the late 80s. And if one is referring to the removal of the civilian data fuzzing, that wasn't until 2000. Again, according to Popular Mechanics. I'd provide the article URL, but my account is apparently too new for the stupid forum software to allow me to include a link. The reason some systems have that label is because the GPS 'system' is owned by the US Government, (and kept operational by the United States Air Force)- ground unit receiver/transmitters have been 'allowed' for use by civilians in the 80's, and some manufacturers have put a release label on their products just in case Uncle Sam decides to selectively deny access to it's systems. The US Government can- and HAS selectively denied use of GPS systems... a good example of this was in 1999 when the US Government shut down GPS to the Indian Army during India's brief war with Pakistan. Because GPS is owned by the US, Russia and China are hard at work to get their own version of GPS satellites up and running (It would be a real problem to go to war, have the US shut down your GPS and not know where the heck you are!). Paul, I wasn't necessarily questioning the semantics of "released for civilian purposes" and am aware of the ownership and access issues which you added to the fold. As far as the 1995 date, you too have stated it should be in the 80s. That's the germane piece which I wish the author of the article would address. Yeah. There are comments dating back to 2014 yet somehow the article date currently shows it's only 2 months old. Maybe someone updated something in the article and bumped the date. Either the original published date should be retained or a separate "updated" date should be added. I also appreciate when a line is added stating what was edited. I use this app "GPS TOTAL RUN" is all in one app. The new L5 US GPS systems put Russia's GLONASS systems to shame... accuracy to 30cm!! That's under a FOOT! Thanks, finding out about a add on GPS for my phone was a very big help! Thanks. In your: settings, location, tap on the GPS icon (usually top) to see GPS modes. Try setting "use GPS only" rather than hi accuracy mode and see if this helps. I have been having trouble for about a week now and I think this helped. I am wondering if the cell tower data has been compromised. My Samsung i9082 was able of detecting 13 gps satellites in about 4 seconds,on its peak, it can even detect 21, and use 13 of them at once, and it only needs 4 satellites to get a lock. Now it takes almost a minute to detect 13 satellites, and it wouldn't lock until it detects 17 or something, AND it only uses 5 satellites. Is there any problem(s) with my GPS? I need Help i have The sony xperia M 4.3 Version And i cant change Mods Iam Playing The Pokemon Go And For Some reason It stop Working (GPS) I thought Cuz Pokemon Had The Problem But When I dried To Find my Location On Google Maps it coulnd Find It Can you Guys Help me ? Thanks for the tip about GPS Connected. On my old JB device I found a little app called Active GPS to be the only one that really boosts performance (at expense of battery) especially when the device fails to "find" a connection. Haven't used it enough on my new L device to know if it adds anything. Best GPS app is GPS status & tool box. For location accuracy select automatic date and time. Before navigation go to settings >storage>cached data>clear cached data. Obtain UFO/Alien technology. Aliens are for sure to have better positioning systems than us, if you ever get hands on some and can work out how to use it, this may be better option.